We are back on Barrow 1 today – and the biggest barrow seems to be getting even bigger! 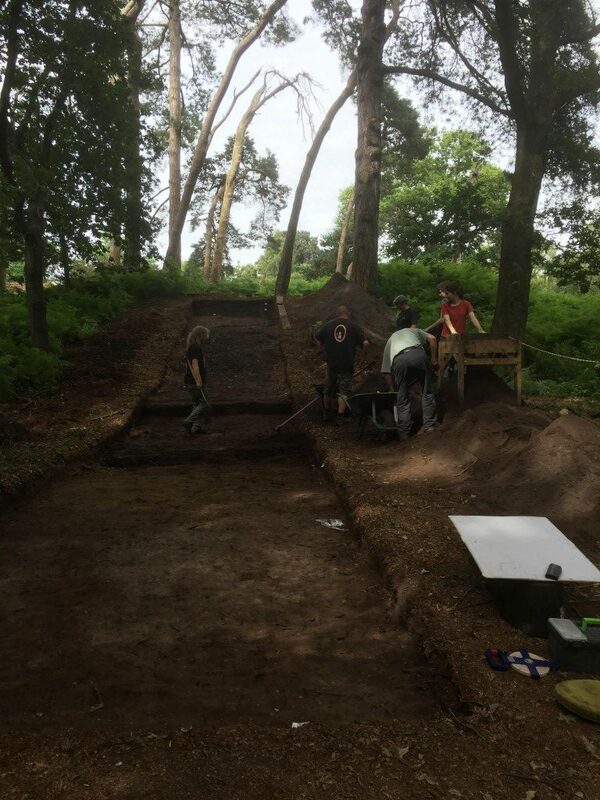 We seem to be uncovering an extremely large ditch, but more on that to be revealed as we go on. The big news today is that Barrow 1 has given us an exciting find: a bruised blade. This is the first time that we have found a definitive paleolithic implement on the Heath, meaning that we can now trace back occupation of the area to 12,000 years ago. This is an incredible find and shows how much we are still learning about the Heath and its people. 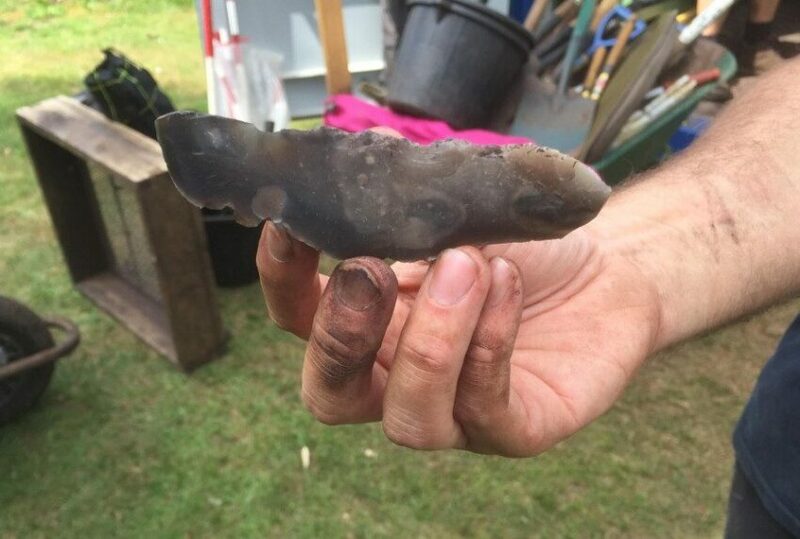 This paleolithic blade last saw the light of day 12,000 years ago.